The moon is set to get its own upgrade as two mobile superpowers Vodafone and Nokia have come up with adventurous plans to launch a 4G mobile network on the lunar body come 2019. 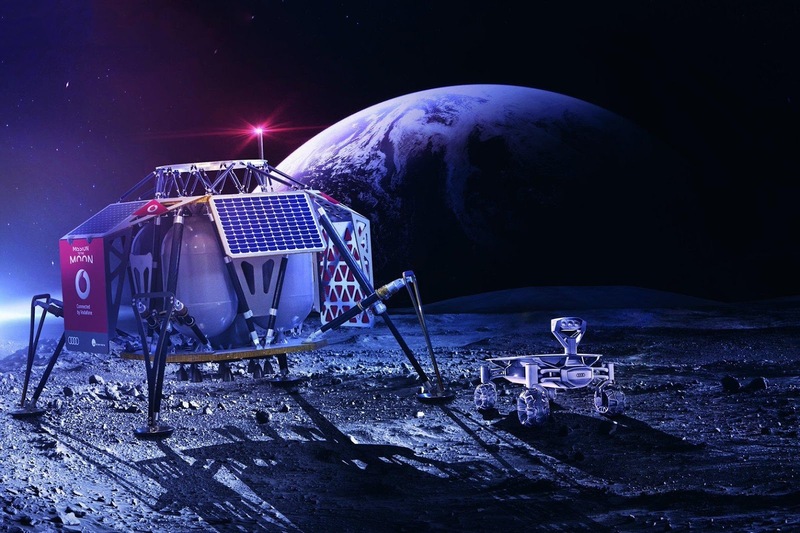 Vodafone, Nokia and Audi with PTScientists as their partners will set up 4G network on the moon and the network is to be used by lunar rovers to stream data (videos most likely) back to Earth. The plan will be set in motion when one of SpaceX’s Falcon 9 rockets is expected to launch from Cape Canaveral sometime next year. Nokia has claimed that the 4G network which is being created with its Ultra Compact Network technology will approximately weigh below a kilogram putting it in the same weight category as a bag of sugar. Light isn’t it? He further explained that the 4G network will consume less power and less energy used in sending data. A press release stated that the mission itself is expected to deliver two Audi lunar Quattro rovers to the moon, with the 4G network allowing them to communicate with one another. SpaceX earlier this year in February had the most successful launch of its Falcon Heavy rocket, which sent a Tesla into a solar orbit that went out as far as the asteroid belt. So what do you all think about this coming upgrade , considering the fact that most countries don't have a stable or no internet connection ?